Medicines management: I am considering working in a boarding school. Do you have any advice? Nurses in independent schools have huge medicines management responsibilities, but this can be a highly rewarding role, says Matt Griffiths. Ofsted inspect and regulate services that care for children and young people, including boarding facilities. Medication management is an integral part of this service, and robust systems must be in place to pass inspection. You need to consider issues such as how medicines are dispensed, administered and stored within the establishment, risk assessments, identifying which pupils can manage their own medicines and the individual health needs of boarders, so that care plans can be put in place for children with specific needs. Staff involved in the care of pupils with ongoing health needs will require quality information and training about any emergency care they may be required to give, such as administering a salbutamol inhaler for a child with asthma. 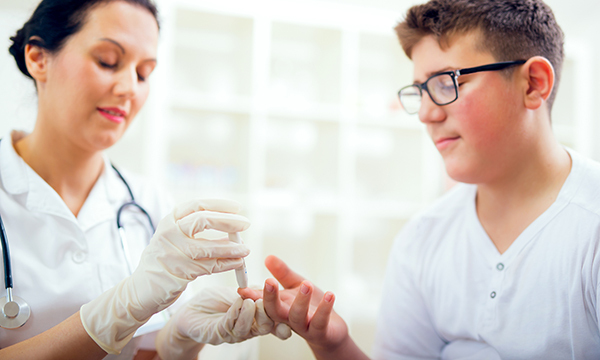 Through exemptions in the medicines act, school staff can also administer epinephrine to treat anaphylaxis and glucagon for diabetes in a life-threatening situation. But maintaining confidentiality is vital, so take care when sharing pupils’ medical information with staff, and bear in mind you will need patient/parental consent. Formal clinical supervision is also required for nurses working in this area. This can help with ongoing education, revalidation and coaching towards best practice, so consider how this will be received and funded. From autonomous practice to child protection issues and chronic disease management, nurses in independent schools have many responsibilities. In addition, their involvement in pastoral care and health is often substantial, including teaching pupils as part of PHSE (personal, social and health education). This is a fantastic role for many nurses, and I wish you well should you decide to proceed.